Explore Derbyshire's Peaks and Dales from this campsite, popular with outdoor lovers. 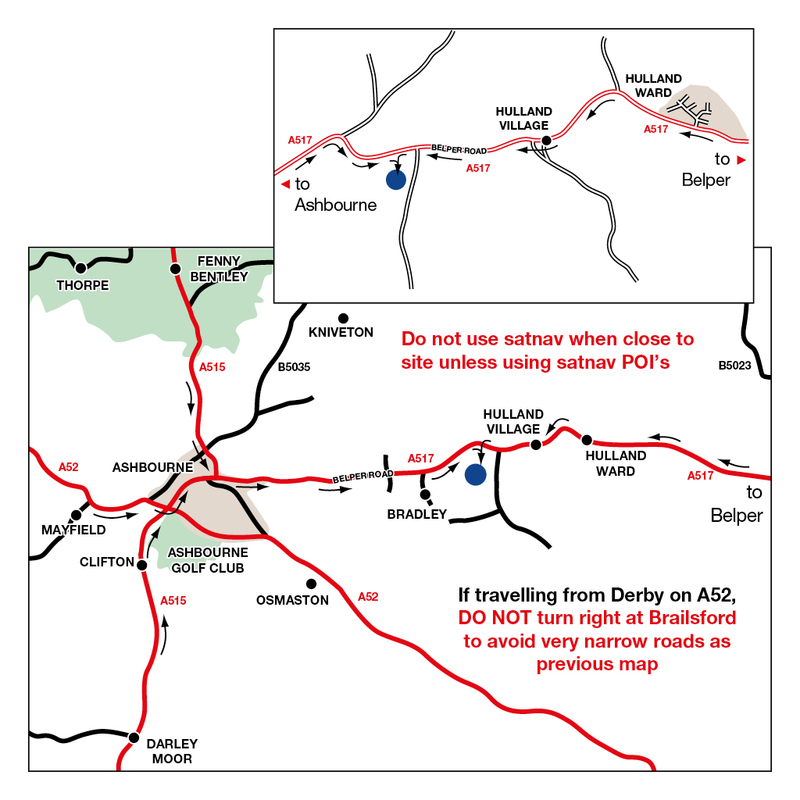 If you’re planning a camping holiday in the Peak District, our Club Site near Ashbourne is the perfect base from which to explore the area. Known locally as the gateway to Dovedale, this lovely campsite has 70 pitches spread over three fields, two of which offer hardstanding pitches and a third with grass pitches. The facilities are of a high standard and include hot showers, a washing up area and laundry. The Tissington Trail starts in Ashbourne and is one of several traffic-free and family-friendly walking and cycle trails in the area. Carsington Water is also close to the site with walking and cycling routes, an adventure playground, bird watching and water-based sports. There are short footpath walks from the site itself. Are you looking for a camping experience without a tent? Ashbourne has a lovely self-catering apartment and camping cabin for you to consider promising flexibility and independence for everyone. So whether you’re planning a family get together or a quiet escape for two, we have options to suit your requirements. The Self Catering Apartment at Ashbourne offers accommodation adjacent to the Club Site.The camping cabin is family and group friendly and caters for all weather glamping. The amenity block on site uses solar power to heat the water. WiFi is available at this site. However please note the service is supplied by a different provider, therefore, your Site WiFi card (powered by WiComs) cannot be used. Please contact the site directly for more information. The site shop sells locally made organic sausages, bacon and eggs, also Matlock Meadows Ice Cream. Belper Farmers Market runs on the second Saturday of every month. Fine cheese shop at Hartington. Try your hand at a variety of watersports at this serene stretch of water, including paddle-boarding, sailing, windsurfing and kayaking. Looking for a mix of adrenaline, adventure and fun? Wild Park has a host of activities including paintballing, quad biking, laser tag, archery, crossbow shooting and pistol shooting. The trekking centre caters for all abilities, offering escorted trekking and the chance to view some of Derbyshire’s most stunning scenery. This spectacular neo-classical mansion is framed by historic parkland. Kedleston Hall is a stunning example of the work of architect Robert Adam. Explore the beautiful Peak District National Park from our Bakewell Club Site.